﻿ Leetonia Beehive Coke Ovens Park - Ohio. Find It Here. The Leetonia Beehive Coke Ovens were constructed in 1866 as part of the Leetonia Iron and Coal Company, for which the town of Leetonia is named. The coke ovens, blast furnaces, and rolling mill formed the major economic backbone of the Village of Leetonia and was one of the largest employers for the Leetonia area until it closed in 1930. The ovens were used to purify coal that was mined from the hills of Leetonia and Washingtonville, this purified coal was then used to make iron. The site was nearly forgotten for over fifty years, until a group of concerned citizens began cleanup efforts. The site was placed on the National Register of Historic Places in 1993. The park includes 10 acres that support this historic piece of industrial history, and 25 additional acres of nature preserve. 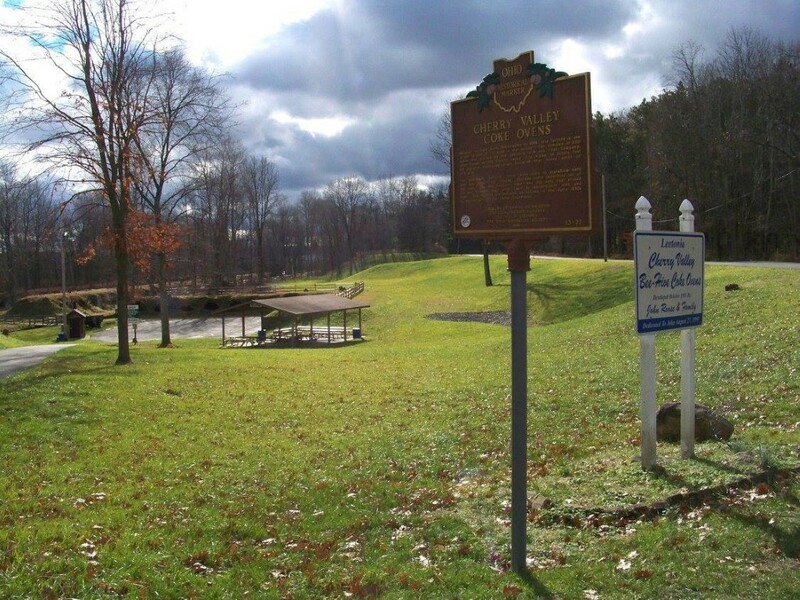 The park is just minutes from the Greenway Bike Trail which connects Lisbon to Washingtonville, Ohio and the coke ovens has a connecting path to the Greenway Bike Trail.